Have you heard about how poorly the iPhone X is selling? If not, what brand of sensory deprivation tank do you own and/or recommend? If the facts aren’t in, then it’s the perfect time to write about it. There’s not much doubt that after a year of anticipation, many of the tech-savvy and Apple faithful hurried out to buy an X after it hit shelves in early November. These are two completely distinct groups? You got your people who are smart about technology, and you got your Apple idiots. Does anyone ever list prices of Samsung phones including warranty and taxes? For Morgan Stanley analyst Katie Huberty the soft chip demand was one of several factors that point directly to weak iPhone sales later this year. Once again we are brought together by supply chain rumors. Let’s see if we can figure out what the supply chain is telling us. First of all, the iPhone X is a flop and it will be canceled, possibly as early as this summer. How do we know this? Because Apple is supposedly cutting part orders. Again. After the company was reported to have cut part orders from as many as 60 million iPhone Xs for the first calendar quarter (analysis: HA HA HAAAAAAAAAAA) to just half that. Apple is also rumored to be introducing a slew of iPhone X-like phones this year but somehow apparently isn’t ordering parts for those yet because all we hear about are order cuts. 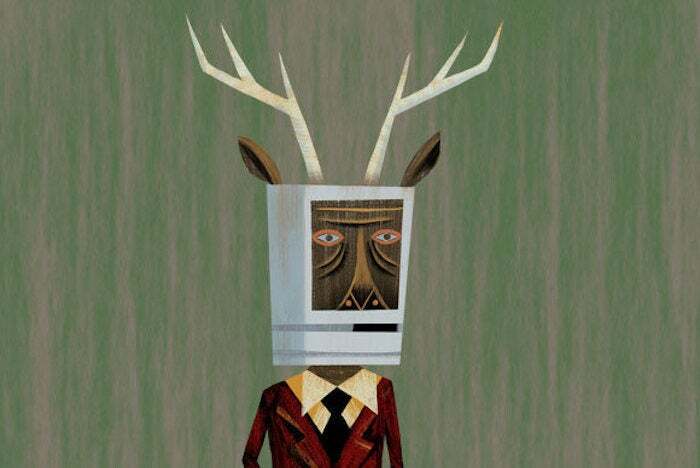 Meanwhile, in May or June, the company will also refresh the iPhone SE after two years which, at the very least, will relieve pent-up demand among cartoon Mac/human/antelope hybrids. Huberty doesn’t think much of that market, apparently. Accordingly, on Friday she dramatically revised down her team’s estimate of iPhone sales for the June-ending quarter from 40.5 million to 34 million. [spit take] Wow! Huberty is predicting that Apple will post its lowest Q3 iPhone unit sales since 2013. That… would be bad. Much like the overpriced and soon-to-be-canceled iPhone X, however, not everyone is buying it. Or… or… these new iPhones feature a completely part-less design. Rumors can’t be wrong, after all. Yes, the iPhone X is so bad, Apple is going to kill it. And introduce three new iPhone Xs. Sullivan still blames the iPhone X’s price, citing a survey by Piper Jaffray of people who didn’t upgrade to the iPhone X. Asked why, 31 percent said it was “too expensive”. You could probably get 31 percent of county fair goers to answer “too expensive” for why they didn’t get a third corn dog for lunch before going on the Tilt-A-Whirl. But let’s look at a survey of people who did buy an iPhone X. In our study, 85% of iPhone X owners said they were very satisfied with the product. That number is amongst the highest I’ve seen in all the customer satisfaction [studies] we have conducted across a range of technology products. Possibly these people were all hit on the noggin and forgot how much they paid for it. Or, more likely, harmful rays from Face ID cause memory loss. Sullivan still thinks it might all work out. If Apple ends the year with the portfolio of iPhones [Ming-Chi] Kuo has outlined, possibly ranging from $349 to well above $1,000, the company would come as close as it ever has to offering something for everybody. That sound you hear is a bunch of pundits feverishly trying to work out how that will be a problem for Apple.